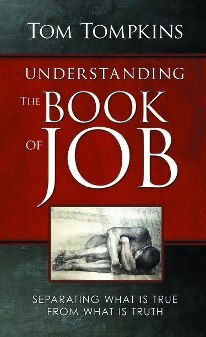 When I originally wrote, "Understanding The Book Of Job", I purposefully left a lot of information out. I did this for numerous reasons. One of which was the intention of moving readers toward studying the written Word of God in order that He would give them revelation concerning questions that may have arisen during their reading of my book. An additional reason had to do with the fact that I planned and still plan to write a book titled, "Continuing To Understand The Book Of Job". While I still intended to write this new addition of truth concerning Job, I am not sure when it will happen. In the mean time, I want to address a verse that could, but ultimately should not throw a curve for those who are studying the book of Job. When we properly understand who actually gave satan power over Job's life, the answer concerning what we are about to discuss should be obvious. It all begins with Job 1:8. "And the LORD said unto Satan, Hast thou considered my servant Job, that there is none like him in the earth, a perfect and an upright man, one that feareth God, and escheweth evil?" It is important to remember the fact that the first few words of Job 1:8 have been misrepresented in the majority of biblical interpretations and translations. The original Hebrew translation of Job 1:8 reads, "Why have you set your heart upon my servant Job" as opposed to "Have you considered my servant Job". God was not asking the devil if he wanted to attack Job. God was asking the devil why he wanted to attack Job. In fact, the devil was so dumb to the point of trying to tempt God to attack Job. Job 1:11, "But put forth thine hand now, and touch all that he hath, and he will curse thee to thy face." The devil was literally attempting to tempt God to attack Job! This is because satan was not after Job, but ultimately after God. Satan was obviously angry at God after God had given power over the earth to man (Genesis 1:26, 28). After Satan (then known as Lucifer) fell in the Garden of Eden (Genesis chapter 3), due to jealousy over the power which God had given man over all the earth (Genesis 1:26) he became angry with God. However, since he could not do anything to God, satan went after the next best thing, which was God's prized creation, man. This is one of the key elements which lead satan to seek doing damage to Job. It is of utmost importance we understand that God did not give satan power over Job. It was ultimately man who did so. This is why satan did not go to God to gain the power he once had over the earth. Instead, he went to those who had the power. This of course was man as seen in Genesis chapter three. While this information may come as a shock to many, I encourage you to study the written Word of God, asking God to reveal truth to you concerning this topic. The purpose behind my writing this article is of course to reveal truth concerning the words of Job 42:11. Job 42:11, "Then came there unto him all his brethren, and all his sisters, and all they that had been of his acquaintance before, and did eat bread with him in his house: and they bemoaned him, and comforted him over all the evil that the LORD had brought upon him: every man also gave him a piece of money, and every one an earring of gold." The words we will focus on are, "and comforted him over all the evil that the LORD had brought upon him". Before we move on, let's do a quick review as to what lead to Job's need for comfort concerning what the Lord did to him. First of all, God did not take from Job. Yes, Job may have said, "The Lord gives and the Lord has taken away" in Job 1:21. However, Job did not know what he was talking about when he made this ignorant statement that many have sadly embraced as truth. Job 34:35, "Job hath spoken without knowledge, and his words were without wisdom." We must be sure to tie the words of Job 1:21 into the words o Job 34:35. In addition, I know many may stand upon the words of Job 1:22, which read, "In all this Job sinned not, nor charged God foolishly." These words have lead many to believe Job was never angry with God in the midst of his difficulties. However, we must be sure to continue reading in order to discover truth. We may do so by reading Job 13:3 and Job 23:3. Job 13:3, "Surely I would speak to the Almighty, and I desire to reason with God." Job 23:3, "Oh that I knew where I might find him! that I might come even to his seat!" I believe the two verses above speak volumes of Job's feelings toward the Lord. If this is not enough, let us look to the words of Job 34:36-37. "My desire is that Job may be tried unto the end because of his answers for wicked men. 37 For he addeth rebellion unto his sin, he clappeth his hands among us, and multiplieth his words against God." Wicked men do not love God nor cease to blame Him for their problems. Job had become quite angry with God as he fell into the trap of believing that God was the source of his troubles. Job's bad attitude toward God had spiked. It was at this time that God Himself stepped up and began to deal with arrogant Job in a direct manner. Job 38:2, "Who is this that darkeneth counsel by words without knowledge?" The words of Job 38:2 are the beginning of God's response to Job. God had reached the boiling point concerning Job's false accusations toward Him (God). God literally gave Job the chance to "get in His face" so-to-speak based upon the words of Job as seen in Job 13:3 and Job 23:3. God continued His chastisement of Job in Job chapter 38 through 41. This of course reveals the truth that God's chastisement of those He loves does not involve sickness, the loss of a job, the death of a child, or any additional form of natural pain. God's form of discipline comes via His word just as we see with Job (2 Timothy 3:16). God literally came down upon Job with harsh words in order that Job would see the tremendous error of his ways. When truth is revealed, God's harsh discipline of Job is why Job's family and friends comforted him. In fact, God only did two things to Job. He verbally disciplined Job, which lead to Job humbling himself and admitting that God was not the source of his problems beginning in Job 40:3. I believe this information should reveal truth concerning the often-misunderstood words of Job 42:11. It was the devil, not God, who was to blame for Job's problems. Additionally, it was man, not God who gave the devil his ability to afflict Job. In closing, I want to bring up on final, but important point. When Job humbled himself and stopped blaming God for his problems was the time in which God was able to bless Job and give back to him twice what he had lost. Let us also be careful to not blame God thus tying His hands and limiting His ability to bless u also (Psalm 78:42). To learn additional truth cocnenring the book of Job, purchase a copy of “Understanding The BookOf Job” via the link below.